The Civic Education Working Group proved to be a consistent and hard-working group of people since the reform of the WG was accepted in Spring Agora Asturias 2015. The topic proved to be high in the list of priority in our organisation and in Autumn Agora Chisinau it was selected again as one of the four focus area for 2017-2020. With a new Working Group team kicking off on the 1st of August, it is time to look back at what the team, led by Aliénor Pirlet, Working Group Coordinator, did in the past months. Introduce your Working Group. Who is in the team? What are their tasks? Aliénor Pirlet: I am a Belgian student in Philosophy, Politics and Economics (PPE) at Leiden University. 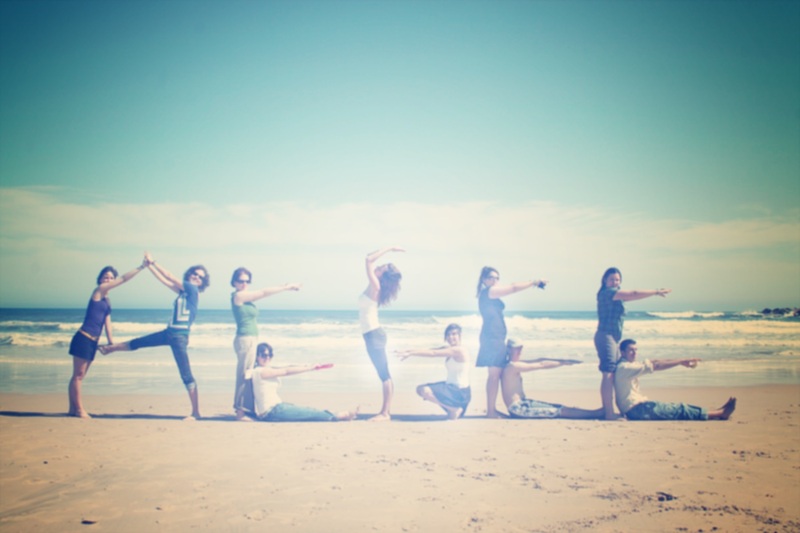 I joined AEGEE in 2015, I’m crazy about the intercultural atmosphere in our beloved association and I love travelling. I also like to take up new challenges, which is why I ran in Agora Bergamo to be the new coordinator of the CEWG. 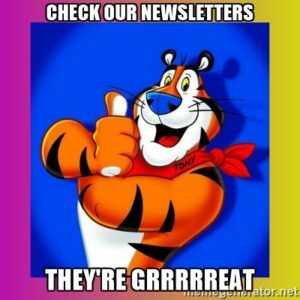 Besides that, I’m responsible for our newsletter and for creating new awareness campaigns. Julia Hanesz: I am a Hungarian student from Slovakia currently spending an Erasmus semester in Paderborn (Germany) in International Business Economics. I joined AEGEE last spring to be able to participate to the SU in Warsaw organised by the CEWG. This is where I fell completely in love with AEGEE and Civic Education and decided to join the CEWG and become a policy officer of the WG. It was definitely one of my best decisions, I learnt so much about AEGEE, Europe, people and myself. Next to the policy paper, I am PR and responsible for the Quiz: ‘How civic are you?’. Alexia Thomas: Belgian Student in Sustainable Citizenship in Utrecht, I am the Summer Universities responsible to collaborate in the funniest ways to make this summer matter. I fell deeply in love with AEGEE and after becoming CEWG member I am now moderator of Society and the Environment Interest Group, subcommie and… who knows what the future will bring! Evrim Emiroğlu: I am from Ankara and I am currently studying in Economics at Anadolu University in Eskişehir. I have been an AEGEE member since spring 2012. Since then, I have been active with different responsibilities. During all these years, I always believed civic education to be one of the most important, if not the most important, aspects of our organisation. Therefore, I decided to join the Civic Education Working Group. I am responsible for network contact in the group. Doro Harles: I am currently a student in Sociology and Psychology in Mannheim (Germany). After taking part to the SU coordinated by the CEWG last summer I was fascinated by civic education and wanted to work more on it. At the moment, I am doing an internship dealing with analysing voter turnout in Germany. In the Working Group I am dealing with organising Debating Competition and secretary work. Daniela-Maria Maris : I am a member of AEGEE-Cluj-Napoca and finished my studies in Communication Science last year. This year, I’ve worked as Communication Assistant for the CD and I am now doing an internship at the German parliament. For me civic education is the only way we can achieve democracy. This is why I’ve chosen to get particularly active in AEGEE around this topic. I am part of the ECI task force and in the CEWG I am the external relations responsible and helped co-organising the Conference in Budapest. Esther Hillmer: I am studying NGO-Management in Osnabrück (Germany) and just finished a three-month internship in Georgia. 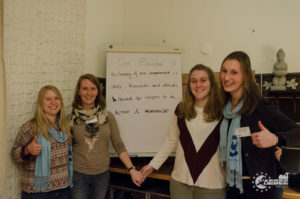 I became a member of AEGEE-Osnabrück in 2011 and joined the ECI task force last year. This work made me even more curious about civic education topics, so I was really happy to be part of the CEWG this year, for which I am the internal communication responsible. María Ballesteros Melero: I am a translator and interpreter currently studying Political Science. I became a member of AEGEE-Madrid in 2014 and joined the Civic Education Working Group last May, as I believe civic education is the only way to achieve a real, long-lasting social change. I am responsible for the collaboration between the CEWG and the Europe on Track 4 project. Bálint Toronyai: I am studying Economic Policy in Budapest. I became a member of AEGEE in 2014. I am particularly interested in civic education and media literacy as I believe it has an essential role in the formation of robust democratic societies. Within the CEWG, I am responsible for developing our workshop material and organising the debate competition. What is the aim of the CEWG? Can you shortly summarise your activity plan? Aliénor: In short, the CEWG is there to help our network to achieve its aim regarding the Focus Area on civic education. At the beginning of each term, the new team members of the working group write a new Activity Plan listing the projects and activities they will be doing throughout the year in order to help to fulfill the yearly objectives on civic education. 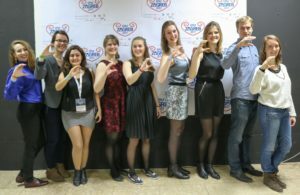 Since our focus area has two aims, our Activity Plan contains activities to do within AEGEE on the one hand, and projects to do outside of AEGEE on the other hand. Within AEGEE, we chose to collaborate again this year with some antennae for helping with the creation of the content of their Summer Universities. Last year’s collaborations were a true success and we are confident they will be as fruitful this year! 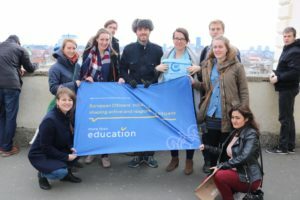 Next to this, we also organised the conference ‘Education for the Present, Democracy for the Future’ in collaboration with AEGEE-Budapest and the Europe on Track 4 project from the 21st to 23rd of April. More generally, we attend many events of AEGEE throughout the year where we deliver workshop, foster discussion and raise awareness about different topics related to civic education. Of course, we also develop many new material that AEGEEans can use whenever they want to have activities on civic education. Recently, we have created new guidelines for locals and have updated last year’s debating toolkit. We encourage locals to organise debates because it is a great way of using critical thinking, forging your own opinion and learning many relevant information on a (controversial) topic. This is why we organised a debate competition earlier this year. You can read all about it in the article of the AEGEEAN. Regarding our projects also for young people outside of AEGEE, we are working on the European Citizens’ Initiative (ECI) More than education with the ECI task force and the Europe on Track 4 project to call for more civic education in Europe and foster discussions on the matter. We also launched a test on Facebook ‘How civic are you?’ for people to check out their civic knowledge. Currently, we are still working on an open letter for non-EU citizens who would also like to call on their government for more civic education in their countries. And last but not least, our awesome Policy Officer Julia is working hard on the policy paper dealing with the use of the ECI as a direct democratic tool. Last year 12 Summer Universities chose to organise an event related to the Civic Education. Do you expect such a great participation also this year? Evrim: We are having eight formal cooperations this year. This is less than last year but it is most probably linked to the fact that this summer, SUCT defined that formal cooperation means that one trainer is coming to deliver the workshops in cooperation with the local in order to ensure the quality of the cooperation. Currently, every member of CEWG is working with one SU in order to create a quality thematic content for SUs. Organising a Summer University is difficult, but organising a contentful SU is harder. The advantages of cooperating with us are that we are helping locals to choose the best topic for their SU. If they already chose, we decide which workshops need to be created and start working on it with the appointed person in charge of creating the content. As a method we try to be as fun and non-formal as possible to actively engage the participants. What is your policy paper about? Julia: This year we are working on a policy paper about the European Citizens’ Initiative as a tool of direct democracy. In general there were already researches and discussions on this topic, about whether it is a relevant and successful tool of the European Union. Our aim is to examine it from a youth organisation’s perspective based on the experience with the ECI ‘More than Education’. You can also help with the research by filling the following survey. The CEWG is very active. What is your secret? Doro: There is no secret! Our “activeness” is coming from our super engaged and motivated members. Also, we did not start from nothing since we got a lot of support and inspiration from the CEWG of last year. We are helping and pushing each other in creating workshops, promotion material, developing new ideas, etc. There is always someone who can give you feedback and tips if you are stuck with something. This is also supported by our very good group dynamic: we trust and are honest with each other. In the beginning of each meeting we have a “weather forecast” in which everybody tells what are good and bad news lately and how are their feelings about it. We also like to laugh and have fun together which is helping in hard time. And that is also why we decided to meet each other for a fun meeting in Budapest before going together to the EPM in Zagreb. What did you do at your live and fun meeting in Budapest? Julia: We evaluated the work of the past few months, planned the next projects and had a lot of fun together. We had a chance to discover the Buda castle, the Great Historical Market, the Parliament, the Heroes square on the Pest side, visit the Central European University, and rest a bit at the Margaret island. Of course our Hungarian experience would have not been complete without tasting the goulash soup, the mákos guba or the kürtőskalács. We also cooked together a traditional food, the ‘lapcsánka’ or ‘tócsni’. Thanks to AEGEE-Budapest we had a chance to visit a few “Ruin Bars” in the heart of Budapest during the wonderful pub crawl organised for us. Next to all of that we also organised a signature collection for the More than Education ECI, during which we had many interesting discussion with locals, who happily supported us with their signature. It was a very productive and fun meeting! Aliénor: If you enjoy reading about our activities and know all about the latest update of our workshop materials, please subscribe to our newsletter. You can also read the ones already published. And do not hesitate to contact us at info@civiceducation.eu! ← Agora Catania will take place in a land of passion and creativity.